For an exciting finish to the 2017/18 season – visit Värmland for Nordic Youth Trophy! The cup is played with a qualification round followed by a playoff round in different levels so that all teams along the way will get to face teams on their own level. This makes Nordic Youth Trophy the perfect fit for all players and teams, regardless of skill level! QUALIFYING PLAY, 16-17 Mar: Teams are placed into 6-team groups, all teams in the group play each other, your team plays a total of 5 games. PLAYOFFS, 18 Mar: According to your team’s placement in the standings playoff groups are formed in different levels (A-, B-playoffs and so on). All teams play playoffs. The two highest ranked teams in each playoff group qualifies directly for semifinals. The other four teams in each group play quarterfinals. 1-3 games in total in the playoffs. Please note that the cup format is flexible and may be subject to change depending on number of teams in the cup. SIGN UP via the submission form by clicking here! incl. hard floor accommodation, e.g. school or gymnasium. Meals included: 2 breakfast, 3 lunch, 3 dinner and 2 night snacks. We also have price packages for upgraded accommodation (hotel, hostel, cabins etc.) 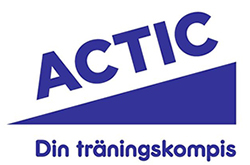 For more information please contact Daniel Samuelsson, Project manager at Färjestad BK Hockey Alliance: daniel.samuelsson@farjestadsbk.se. Registration to Nordic Youth Trophy is binding and the Registration fee is not refundable. Registration fee will be invoiced upon registration. An invoice for the Entry fee will be sent 1-2 months before the tournament start. The Entry fee is refundable up to 50 %, in case of disease certified by a doctor. Färjestad BK Hockey Alliance reserves the right to choose participating teams in the event of a full tournament. The Registration fee will in this case be refunded. Select teams are not allowed. In cases where teams need to loan players to reach a full roster the tournament office must be contacted for approval.